A few days ago we witnessed two momentous occasions: 1) Bill Gates and Warren Buffett took their much anticipated trip to China to encourage philanthropy among China’s super rich, and 2) Many of these Chinese super rich turned down their invitations to meet with Gates & Buffett, because of their unwillingness to give away part of their wealth and participate in philanthropy. Media have been hotly debating what happened, and many are asking: Where is China’s philanthropist? Why are China’s super-rich so reluctant to help others? Why don’t they follow the examples led by Bill and Warren? 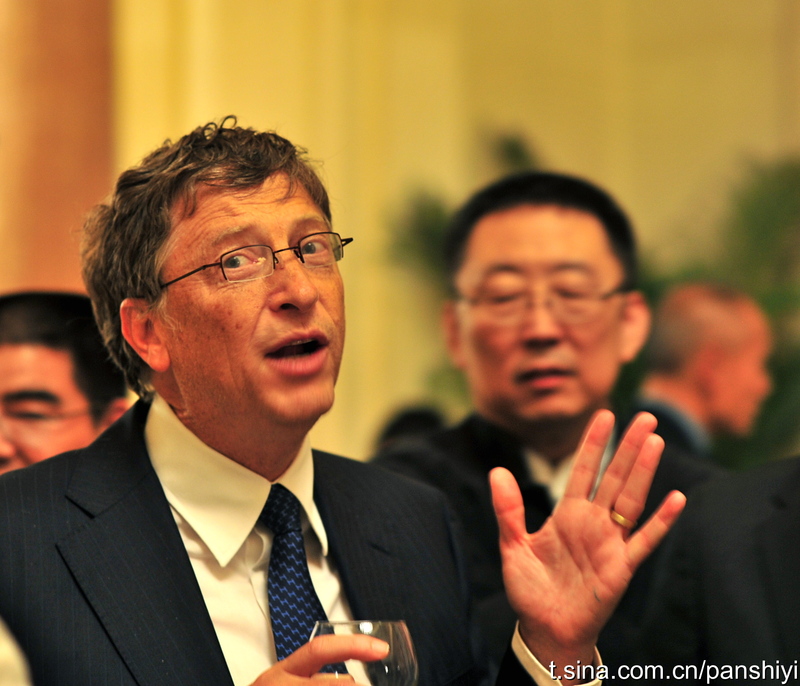 China is not completely devoid of rich, individual philanthropists. Jet Lee has for some years been very active in seeing his charity, the One Foundation, succeed. Guangdong province recently had one of its richest citizens, Yu Pengnian, commit all of his wealth, USD$1.2B, to charity. And there were the few who did pledge to come along side Bill and Warren during their visit. But these examples are the exceptions, not the norm. The broader implications why we do not yet see the rise of a philanthropy class/culture in China can be viewed in three driving factors: No religious precedent, no cultural precedent, and no historical precedent in China for Philanthropy. No Religious Precedent: While religion is not the only factor to birth philanthropy, it is an effective driver of the philanthropic mindset. The most famous philanthropists in history, and indeed the forefathers of the modern (post Industrial Revolution) philanthropic model such as Andrew Carnegie, Henry Ford, and John D Rockefeller were rooted in their spiritual motivations. These pioneering philanthropists ascribed to the American philanthropic spirit, a cultural legacy from America””””s forefathers: Benjamin Franklin, Thomas Jefferson, and George Washington, Christians in the Age of Enlightenment. China, a State that for many generations has had as its official religion Atheism, continues to be widely criticized for its lack of religious freedom. As a result of its policies, China has bred a general population that today is mainly faithless. The spiritual motivations and drivers that helped give rise to philanthropy in other nations are not present in China. 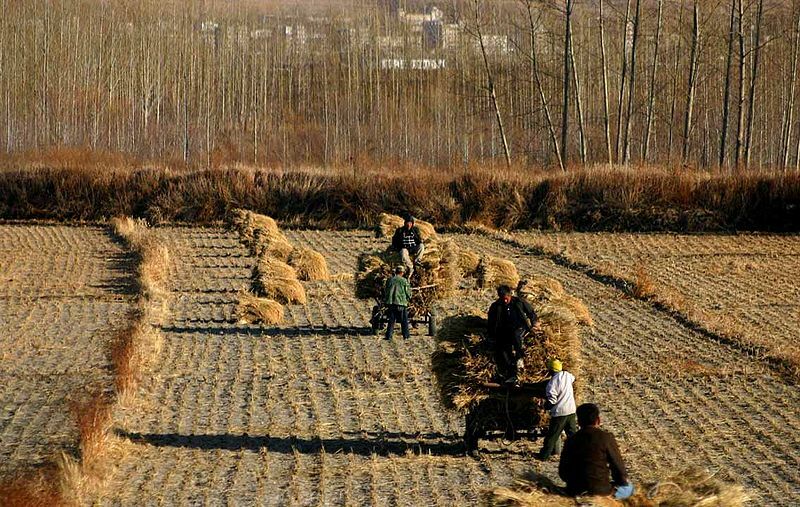 No Cultural Precedent: Even with all of China’s recent industrialization, urbanization, and modernization, China is still in an agrarian popular culture. More than half of China’s population continues to live in villages based on an agrarian economy. The other half of China’s population is mostly one generation removed from the same agrarian reality. Agricultural society is based on harvest and storage. Hoarding is a very strong cultural imprint that has lasted for many millennia. Even now with economic development, the hoarding culture — which is engrained in familial norms and passed-down by generational lessons — endures even beyond the first and second ‘moneyed’ generations. China will need at least one or two more generations of continued economic development and consistent education of its lower classes before the hoarding imprint can begin fading. Having a hoarding culture is a direct limitation to any rise of philanthropy in China. No Historical Precedent: China’s history is based, in one perspective, on familial wealth & power via heirlooms, bequeathments and hereditary titles. China comes from an Imperial, agrarian society, where power and social status is based on familial wealth. Modern Chinese society continues to have many aspects that still emphasizes family wealth. We see this today in the continued inadequacy of China’s social welfare system, where Chinese parents still need to save all their wealth in order to pay for the education, and buy real estate later generations. 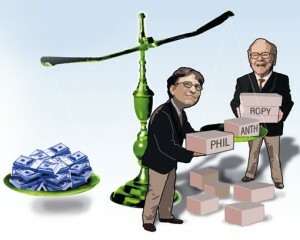 Bill Gates and Warren Buffett have not been explicitly religious in their motivations for philanthropy. But they have had historical precedent from such past American philanthropists as Carnegie, Rockefeller, and Ford. China does not have philanthropic heroes in its own history. The classic philanthropy model (the super rich who devote the rest of their lives to the effective distribution and use of their wealth to alleviate societal ills) is still a long way away for China as it needs to overcome the lack of religious, cultural and historical precedents to philanthropy that is so evident in western countries. Wokai.com, 51give.com and other micro-finance sites in China have gotten a lot of coverage lately as they are doing admirable, pioneering work. China is experiencing an increased social consciousness and activism, especially from the younger generations. However, China’s stagnant social structure and the turbulent overheated economic bubbles mean this young, socially aspirational generation does not have the economic power or wealth to ‘put their money where their mouth is’. So while Micro-Philanthropy mechanisms might be a useful model that fits with the motivations of this young socially driven class, unfortunately this group does not yet have the mass economic ability to participate even in micro-philanthropy to make it a market-changing force. What these young people can offer instead, is their time. We continue to see a rise in volunteerism in recent years. But even with volunteers, there still needs to be capital to fund and sustain any operation or project. Micro-philanthropy at this point cannot provide this. High competition and continuing immature industry structure in China means businesses are almost completely focused on reinvestment of capital on development of their own direct competitive advantages. In addition, unlike in Western countries where advocate groups, and a socially-active older baby-boomer generation place increasing demand on corporations for social corporate responsibility, China’s public demand for such initiatives is still extremely immature and shallow. Therefore China’s corporations have little incentive to be involved with philanthropic endeavours. Foreign direct investment into developing China’s social solutions is valuable, but a blunt tool for a complex and highly nuanced field. A local community knows best and is the first to recognize what are the most pressing social issues for that community. For money coming from outside sources, funding requirements and measurements of success may not be aligned with what is optimal and beneficial for the local community. Also, foreign funding is precarious because it is dependent on external factors such as the fluctuating enthusiasm of the foreign funding community. This risk is compounded if the projects are time-sensitive. Funding is always most aligned, most precise and has greatest potential coming from the domestic community. With these philanthropic methods falling short, I believe the time and the environment is right for another kind of model, the For-Profit Social Enterprise. 1)	An up-and-coming generation of young, energetic, socially conscious workers/participants who have the heart for, and the time to, be involved in a socially conscious endeavour. 3)	The need for locally-sensitive, locally-active, and locally-innovative solutions that only a private, local enterprise can offer. 4)	The ability for Chinese pragmatism to shine yet again: The ability to accept a for-profit solution to social problems. Organizations can build a profit center that powers a non-for-profit objective. Isaac Mao, a prominent China blogger and a critical voice on China’s inter-nets wrote a popular and widely re-posted article earlier this year entitled ‘Sharism’ (read the essay here), espousing that an open-source mindset established in a community will bring greater benefits than the protection of private information and property. 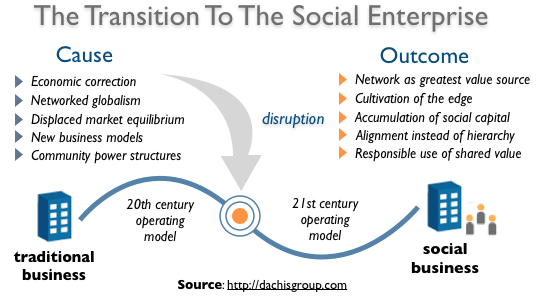 Isaac posits that Sharism should be primed and applied to multiple industries to disruptively create greater value. People are buying into this ‘Sharism’ mindset, and courageous businesses can do it as well. Companies need to have faith: Investing in the community is profitable in the long-term for the business. A sharing business is an integral component and catalyst of a sharing ecosystem, an ecosystem that will eventually share back with that business. Being socially-minded is not just profitable, but it is an emerging paradigm that may sooner or later not just be a luxury, but a necessity: each subsequent generation entering the workforce, even in China, yearns for visionary companies, companies with a larger purpose. Speaking specifically to the rising need of Chinese Youth, this new generation is seeking to go beyond monetary profit: they seek the pursuit of Truth. As Chinese youth continue to evolve in their individualities, they are looking for companies, organizations, and work environments that can support, add, and inspire their continued identity development. Visionary companies that care about more than the profit motive are built to deliver on this need. 1)	For-profits have the benefit of trial & error. Responsible for their own money, businesses can define their own future. NGOs cannot, because they are answerable to their donors, and were sold on one original objective. They have no room to pivot. But ‘pivoting’ is exactly what is needed in a social condition like China’s, that continues to change, evolve and develop new or adapted social issues. 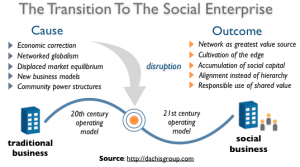 For-profit social enterprises have the ability to adapt with the problem. 2)	For-profits have the viability appropriate for a staunch pragmatic nation. While young people want to take part in social issues, they do not have the social or economic luxury to pursue such altruistic goals – often the social risks for them and their families are too great. If a for-profit company could offer them a tangible, sustainable option both financially and ideologically, you would see young people flock to that kind of organization. A for-profit social enterprise can do just that. In complete disclosure, the research and consulting company that I help lead, China Youthology, is pursuing exactly this course. As a For-Profit Social Enterprise, we’ve outlined our company spirit and values by placing our priorities and measures of success on social impact. We’ve aligned our for-profit business lines with Sharism for the community through a social platform that we’ve canonized as Open Youthology. Indeed, she’ll do something. She and her colleagues have gone above and beyond and will continue to do so, because they believe in what we are all about. The truth is, it is what they are all about. 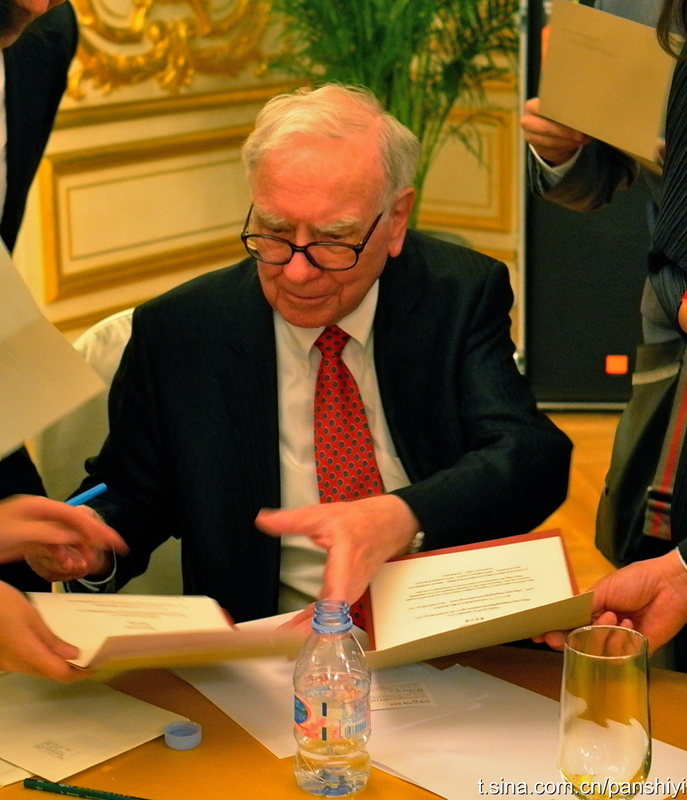 Philanthropy in China today won’t come from the super-rich and follow the classic model that we’ve seen promoted by Bill Gates and Warren Buffett. The one model with real potential for substantial social impact and viable for today’s China context is the For-Profit Social Enterprise. Unfortunately, wokai.com has decided to close down already.